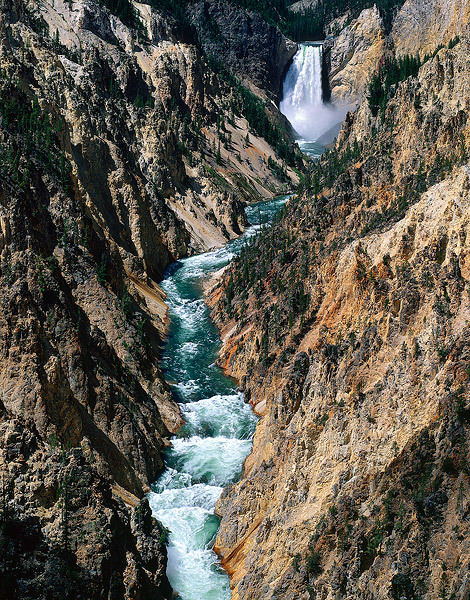 View of the Lower Falls of the Yellowstone River from Artist's Point. Field Notes: Ebony 45S camera, Fujinon 240 A lens, Fuji Provia film. Photo © copyright by Brett Deacon.